In a world that is crying out for answers to various problems there are so many opportunities available to provide the required leadership to bring about transformation. One of the most important areas of life where strong leadership qualities are required is in the family – the heart of God; His perfect plan for mankind since creation. It is always good to remember that leadership isn’t about throwing your weight around and intimidating people. Leadership is in essence servanthood to the masses. The world sees it in the opposite as is evident with the number of oppressive governments and structures in different parts of the world. 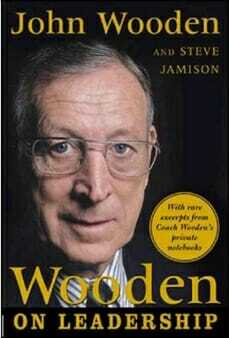 The late John Wooden was one of the most successful college basketball coaches in America who had close to a 90% winning record in his entire coaching career. In his book, “Wooden on Leadership: How to Create a Winning Organization” he shares the leadership lessons he acquired throughout his career. Reading this book made me realize how great a leader he really was. John Wooden had some really good leadership qualities and that is illustrated in the book by the various teams that he worked with through a couple of decades. The principles he applied worked with every team that he worked with. The great thing about leadership is that it does not matter which arena you perform because the leadership principles apply in every industry. Whether or not you have natural leadership ability you can develop the skills necessary to become the leader you want or need to be. If you are going to accomplish anything of great significance in your life you definitely need to develop them. Outstanding leaders can replicate their success over and over again and that is exactly what John Wooden accomplished in his basketball coaching career. It takes time and patience to become an expert or be proficient at any profession. It would be a wise investment on your part to find out what those leadership qualities are and how you can apply them to your own life. Perhaps you have dreamed of one day becoming a great leader but you’re not sure you have what it takes. While it’s true that some people are born with natural leadership ability it can also be learned. That’s the good news. One of the most important things I’ve ever been told is to listen to people that are more successful than I am. In the same vein I urge you to get yourself a copy of this amazing book, read it and begin to apply the lessons. Be sure to share the post with your friends on social media and take time to share your thoughts with us in the comments section below.